President John F. Kennedy’s world-shattering assassination while riding in a Dallas motorcade was masterminded by the power- crazed man who took his place in the White House – then Vice President Lyndon Johnson! 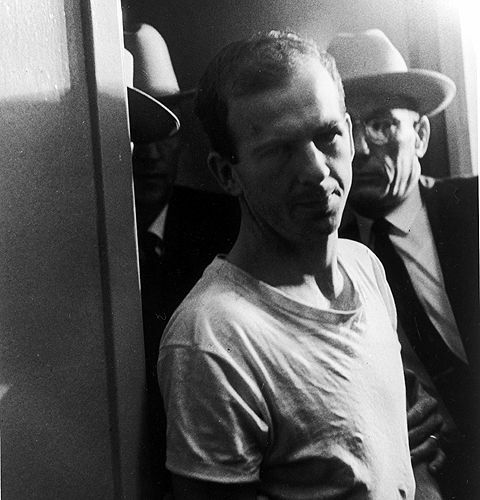 And Jack Ruby, the mob-connected nightclub owner who shot to death Kennedy’s assassin Lee Harvey Oswald, silencing him before he could be fully grilled by lawmen, had close ties to Johnson and future President Richard Nixon! Those are the bombshell charges dropped in a blockbuster new book coming out on the eve of the 50th anniversary of JFK’s death by Roger Stone. The author previously worked on the Committee to Re-Elect Nixon in 1972 and then served in the Office of Economic Opportunity during Nixon’s scandal ridden second administration. “If Roger Stone is right – this will change American history forever,” says a long-time Washington insider. 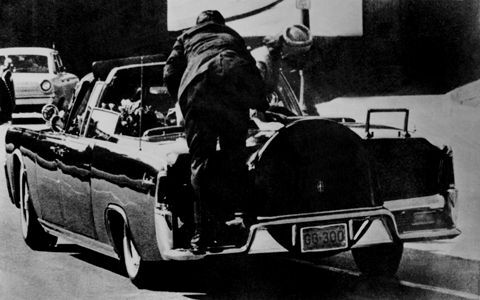 According to a source close to Stone’s upcoming book, “The Man Who Killed Kennedy” , “President Johnson…was the driving force behind a conspiracy to murder President John F. Kennedy on November 22, 1963. The claim by Stone, 61, and his co-author Mike Colapietro, an investigative journalist, was previously supported by JFK’s widow Jackie. “She was convinced that it was her husband’s successor who was the mastermind behind the plot to murder JFK,” says a source. 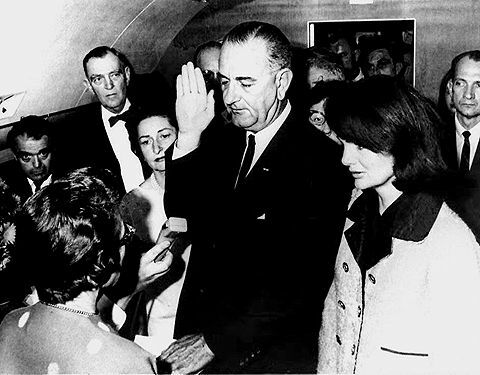 Jackie thought it a convenient coincidence that the murder, while she and JFK were riding in an open motorcade through Dallas’ Dealy Plaza, took place in Texas, Johnson’s home state, where he’d been a longtime congressman and had powerful connections high and low. Her suspicions were also fueled by Oswald’s shocking killing – just two days after the assassination -- while police were transferring him and before he could reveal anything about the tragic event. She also thought it a strange coincidence that shooter Ruby “was a Texas good ol’ boy,” adds the source. According to Stone’s book, streeting Nov. 6, Ruby, Johnson and Nixon had a relationship going back 16 years before Kennedy’s killing. When Ruby moved from Chicago to Dallas in 1947, he was soon hired by Nixon, then serving along with Johnson in the U.S. House of Representatives. Stone also accuses Johnson and Texas Gov. John Connally, who was wounded in the assassination, of setting up the motorcade route. “LBJ and Gov. Connally micromanaged JFK’s Dallas schedule and demanded the route through Dealy Plaza where the motorcade came to a full stop and LBJ had JFK killed,” Stone said. Stone blames Johnson’s insatiable greed and thirst for power. But Jackie believed Johnson and his Texas cronies “despised the Kennedys” and were jealous of the Kennedys who were considered “America’s aristocrats,” says the source. While JFK and Johnson were both Democrats and running mates, they were also bitter rivals. “JFK and Johnson hated each other to the depths of their being,” says the source. The Warren Commission later concluded that Oswald was the lone assassin – a ruling that has been controversial ever since. But Jackie “became convinced that the then-Vice President, along with businessmen in the South had orchestrated the Dallas shooting” and Oswald was “merely part of a much bigger conspiracy,” notes a source. Johnson later died of a heart attack in January 1973 while Nixon suffered a fatal stroke in April 1994. Jackie died of cancer in May 1994. Meanwhile, Stone claims he has exhaustive research to support the devastating findings in his book. Joe on Sun, 11/17/2013 - 9:18am. Even though a National Enquirer article isn't exactly a piece in the NY Times and even though the author--Rodger Stone--acknowledges up front that he has long been a Republican partisan and political operative, this book is a very interesting read. Mr. Stone's descriptions of Lyndon Johnson's foibles do exude a lot of delight at catching this Democratic icon at the center of the web of lies surrounding the JFK investigation. However, overall this author seems to be intent on bringing together all the facts (and the insights he has been privy to inside the Republican political apparatus) to find the guilty parties. He doesn't spare other Republicans who appear to be part of the crime, and he makes very clear facts left out by other "critically acclaimed" authors, and finally he takes a very hard look at the Kennedys. But, that hard look leaves you feeling that John and Robert Kennedy were the guys wearing white hats. Rodger Stone seems to have sacrificed his insider's place in his party to write a book exposing the villains of the JFK assassination and along the way make it very clear that conspiracies happen. No one reading this book will be able to avoid connecting the dots between the Kennedy assassination and the events of 9/11. Following are some of the parallels of the two events that make this an important read for people seeking the truth of what happened on 9/11. Pecosin Rat on Tue, 11/19/2013 - 6:22pm.